Would You Try An All-Black Hot Dog From IKEA? Most of us prefer our hot dogs well done, blackened with char marks from the grill. But would you eat a hot dog that is completely black? 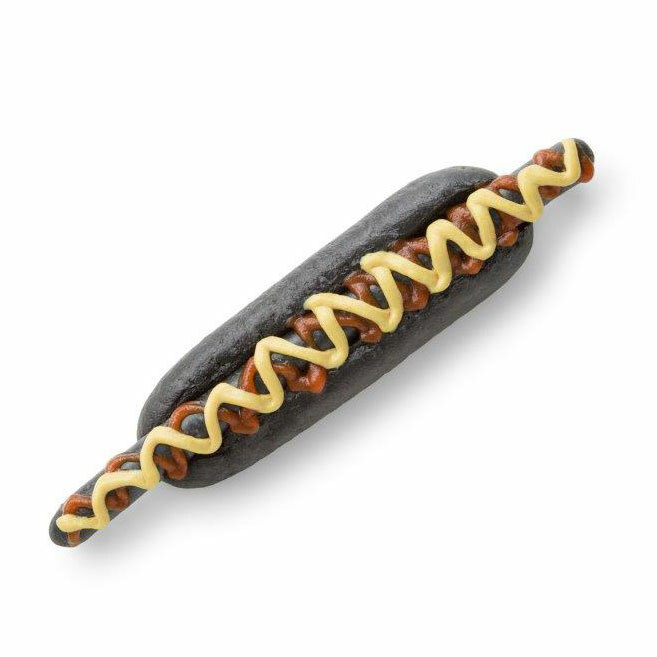 IKEA Japan released their Ninja Dog: an all black hot dog is encased in an all-black bun. The color is from edible bamboo charcoal and has been launched to celebrate IKEA’s 10th-anniversary in Japan. This strange looking dog weighs in at a staggering 30 centimeters. While that’s a lot of charcoal, this may be a fringe benefit: Charcoal is said to be awesome for ridding your body of unwanted toxins. Like, say, the ones you’d get from eating giant hot dogs. If you want to add some color to your ninja dog, there’s always the option of your favorite colorful condiments. This IKEA stunt mimics last year’s all-black burger from Burger King. Despite the burger looking fun to eat, it gave diners an odd and undesirable side effect. With hot dogs having a reputation of being not-so-easy on the digestive system as is, adding an excess of charcoal should be..um... interesting. The hot dog is only available at IKEA Japan, and will sell for 300 yen (around $3 US) through December 2016.